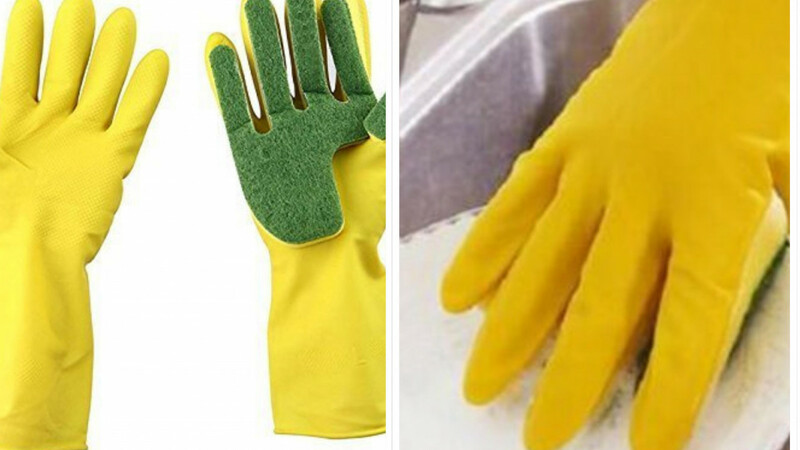 Sponge Cleaning Gloves Make Dish-Washing Easier! Cleaning dishes is always a hard task especially if you have stubborn stains or if you have a huge pile to take care of. These sponge cleaning gloves make things so much easier for you. They have a sponge which is built into one of the hands of the gloves. This way you can easily clean your dishes without having to hold onto anything extra like a cleaning sponge. The sponge very practically covers your entire palm. It even takes the shape of all five of your fingers so that all you have to do is rub your hand on whatever you are cleaning to get the dirt off them. These sponge cleaning gloves are ideal if you have a pile of soiled dishes waiting for you or dirty counters. They will make your cleaning tasks so much simpler. You will also be able to keep your hands and arms clean in the process. On the right hand of the glove is a sponge so you can use it easily. The left glove is just a normal rubber glove. The sponge cleaning gloves have an ergonomic design. It is much easier than using a sponge to clean your dishes or kitchen, because you don’t have to grip a sponge in your right hand and scrub to get the dirt off. 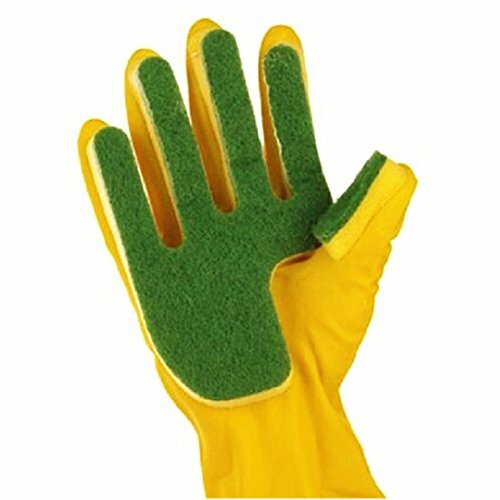 These sponge cleaning gloves are perfect for people who spend a considerable amount of time and effort to get their dishes clean in the right way. Just rub your hand and fingers on whatever needs cleaning. And you are done with perfectly clean dishes and kitchen waiting for you.